Watch the introduction from Cruising America's Great Loop. 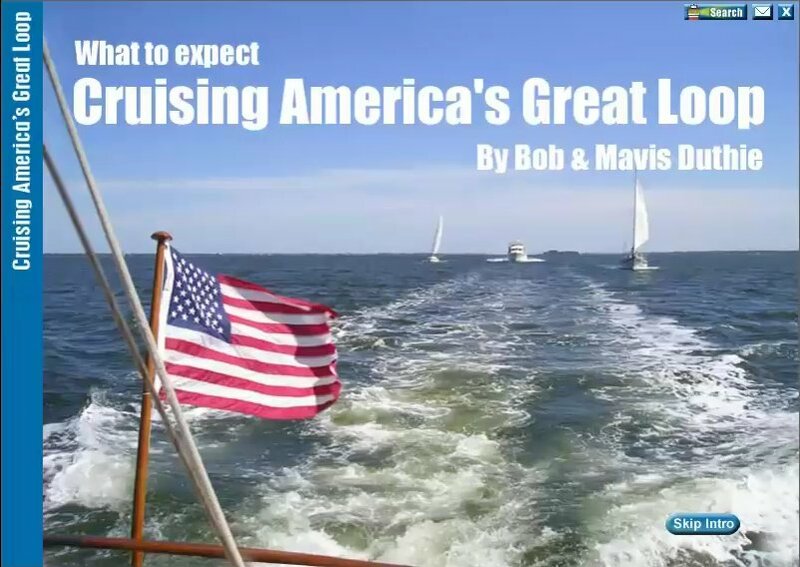 This video is a 2.2 minute sample of the introduction to the What to Expect Cruising America's Great Loop program developed by Bob & Mavis Duthie. Click on the picture to see the video at the actual size and HD quality level of our products. You may have a short wait before the video starts. Click here to enlarge the photo.. 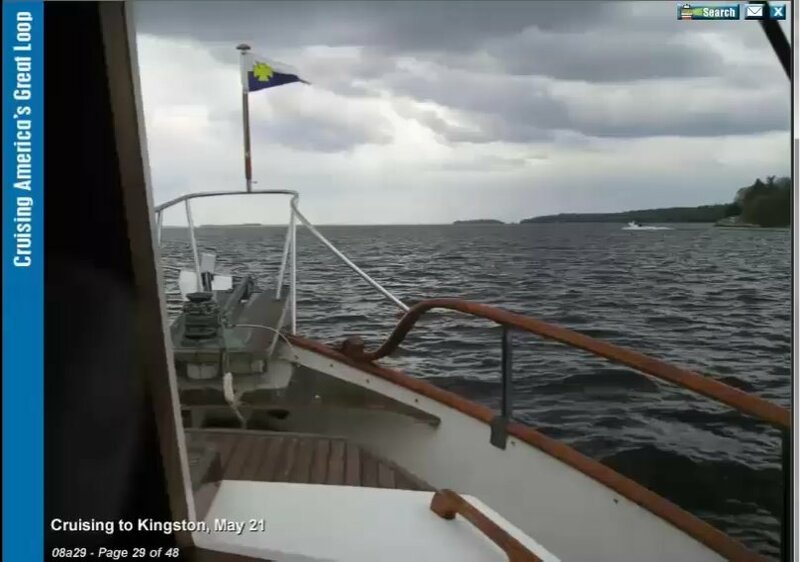 This is 1.8 minute clip from the segment Brockville ON to Kingston ON. Click on the picture to see the video at the actual size and HD quality level of our products. You may have a short wait before the video starts. Click here to enlarge the photo. 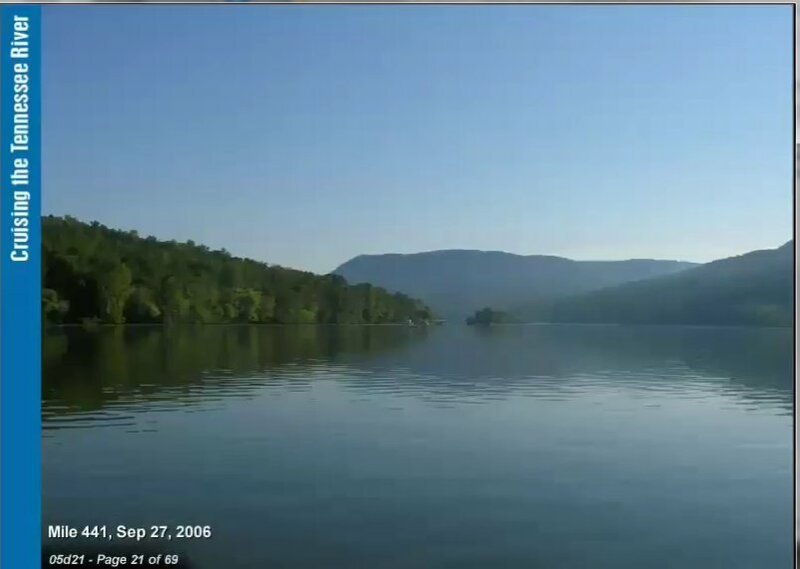 This is a 46 second clip from the segment Huntsville AL to Chattanooga TN that shows the beautiful area known as the Grand Canyon of the Tennessee River. The beauty of the river here needs no narration so we put in a little music. At the Racoon Mountain pumped storage system CruiseGuide Author Fred Myers narrates from his book. Click on the picture to see the video at the actual size and HD quality level of our products. You may have a short wait before the video starts. Click here to enlarge the photo. 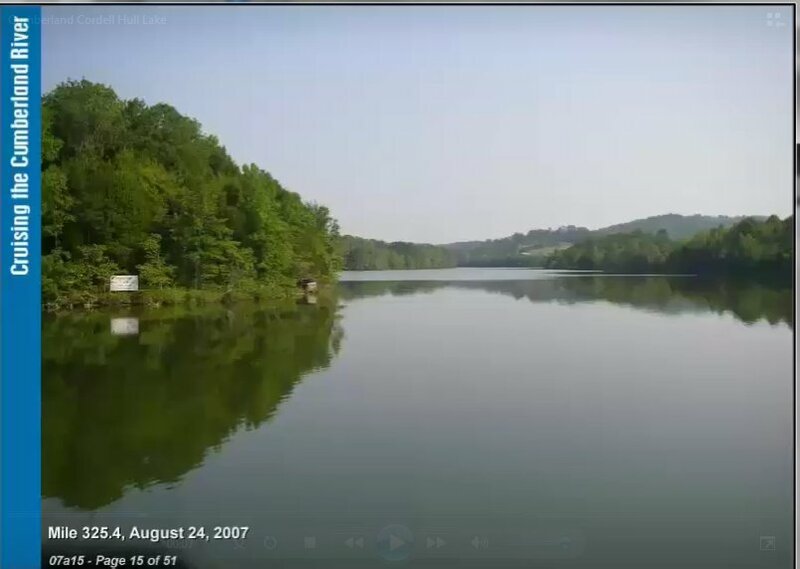 This is a 49 second clip from the segment Defeated Creek to Celina TN in an area called by some visitors the Switzerland of Tennessee. CruiseGuide Author Fred Myers does some of the narration from his book. Click on the picture to see the video at the actual size and HD quality level of our products. You may have a short wait before the video starts. Click here to enlarge the photo.